Comstock Holding Companies, Inc. announced today (Feb. 6) that it acquired JBG Smith’s Commerce Metro Center Portfolio — a move that will increase the Reston Station area to 4.5 million square feet once fully built. 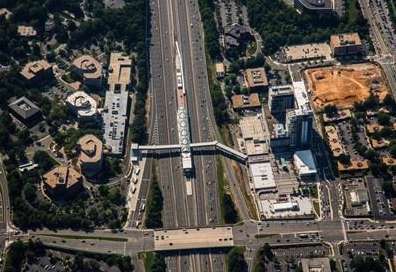 The portfolio spans nearly 40 acres from the Dulles Toll Road and the surrounding area by the Wiehle-Reston East Metro Station. It lies directly across from Comstock’s first phase of the Reston Station neighborhood development. The portfolio includes three office buildings totaling 408,000 square feet, along with entitlements in place for an additional 1.1 million square feet of mixed-use development for possibly adding more office, residential, retail and a hotel. Back in November, JBG Smith said an unnamed buyer agreed to pay$115 million for its three-building Commerce Executive Park complex, which is located by Sunrise Valley Drive and Wiehle Avenue, Globe.St reported. 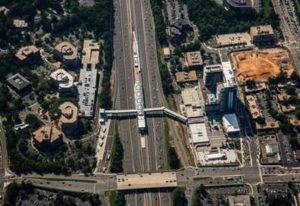 The acquisition also ups the total assets under management by Comstock Holding Companies, Inc., under its long-term management agreement covering Reston Station, according to the press release.